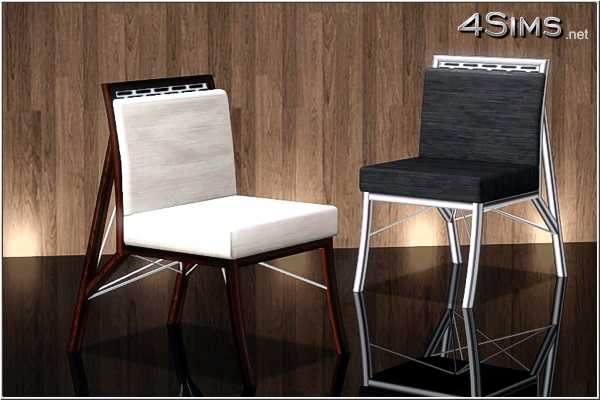 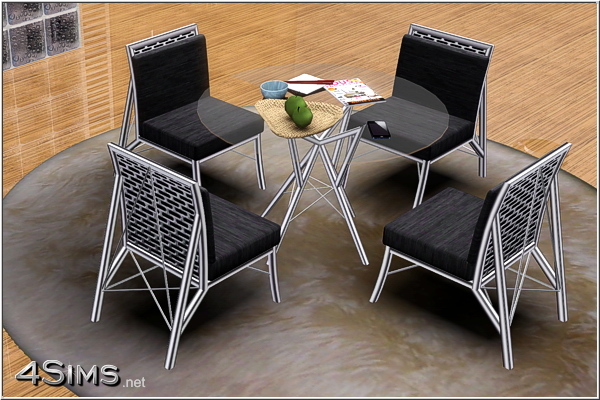 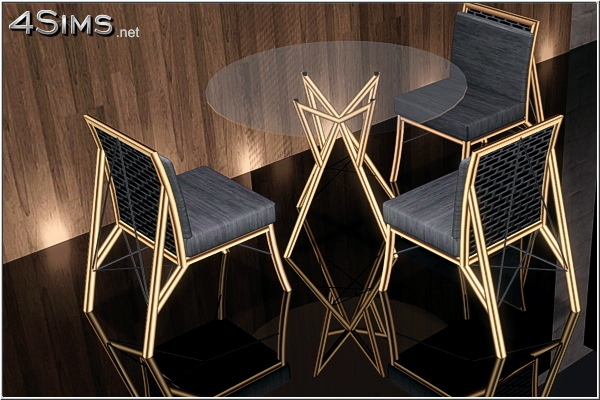 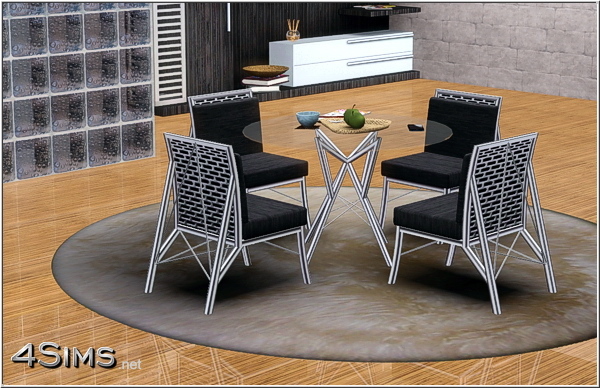 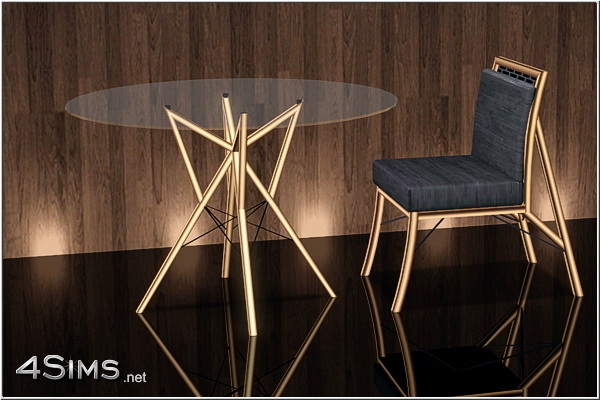 Modern wire dining room furniture set includes glass table and chair with an edge industrial style. 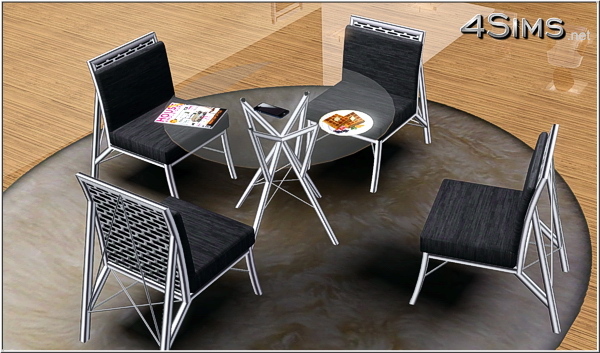 3 recolorable zones, 4 color styles, new meshes, base game compatible. 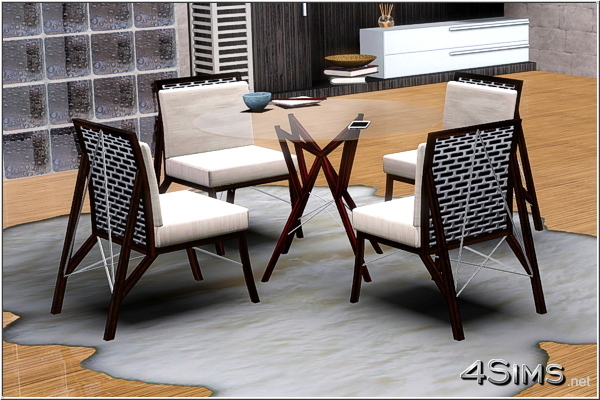 este conjunto al ser s3.pack se puede instalar en sims 4?